According to the National Institute on Drug Abuse (NIDA), around 14% of Americans over the age of 12 have used cocaine in their lifetimes. Cocaine is a powerful drug that is classified as a stimulant and affects the central nervous system to create its intoxicating effects. Due to the fact that cocaine is a stimulant, it boosts the user’s energy levels, raises their heart rate and increases their blood pressure. While these physical effects are being experienced, the brain is flooded with dopamine which creates an overall sensation of intense pleasure. Cocaine is a highly addictive drug that has short-term effects, with the high it creates lasting around 30 to 40 minutes. There are two main types of cocaine: one is a powder form that is snorted, smoked or injected and the other is a crystallized version that is called crack which is generally smoked using a pipe. Due to cocaine’s powerful effects on the brain’s chemical balance, regular use can alter brain function permanently unless an individual goes through a cocaine rehab process. Because of cocaine’s potency, it is very challenging for individuals to attempt to quit using on their own. Medical supervision through detox in a cocaine addiction rehab center is always recommended for people abusing cocaine as withdrawal symptoms can be severe, even life-threatening. In order to prevent a tragic outcome, it is always important for individuals to seek cocaine addiction treatment sooner rather than later. Being able to recognize the warning signs a person may be abusing cocaine and getting them into cocaine addiction treatment promptly can make a significant difference to their recovery outcome. Cocaine is a fast-acting drug that creates short-term effects on the user. The more often a person uses cocaine, the more likely they are to need progressively more of the drug to achieve the same effects as when they first started using it. The fastest way of sending cocaine to the brain is through smoking the drug and injecting it is the second-fastest. According to NIDA, around 72% of admissions into addiction centers involve crack cocaine use, suggesting that the drug is widely smoked which is the most dangerous method of ingesting it. When individuals use cocaine, it creates its high by blocking dopamine from being reabsorbed which ensures pleasurable sensations continue being sent around the body until the drug wears off. Cocaine makes users unusually talkative and they will shift from subject to subject as if they have no attention span. They will also exhibit high energy levels that are unusual for their personalities and have lowered appetites while intoxicated. However, when the drug wears off, users experience a crashing come down that is in stark contrast to the high they have just experienced. A common sign a person is abusing cocaine is that they may eat or sleep more than usual when coming down from the drug and be prone to mood swings and irritability. The Drug Enforcement Agency (DEA) classifies cocaine as a Schedule II drug because of its extremely addictive potential. Cocaine is perhaps most addictive because of its intense effects caused by changing the way the brain experiences pleasure although this can also lead to individuals losing the ability to enjoy life without the drug. The more a person uses cocaine, the more tolerant their body will become to the drug. This means that they will find they need more cocaine to get the same effects they did when they first started using. Eventually, this leads to the body needing regular doses of cocaine and withdrawal symptoms quickly emerge every time a user stops taking the drug, even to sleep. As time goes by relationships, responsibilities and previously enjoyable activities all fall by the wayside as obtaining and using cocaine becomes the individual’s only preoccupation. One of the key characteristics of cocaine addiction is that individuals are unable to stop on their own even though they can see the damage drug abuse is doing to their lives. 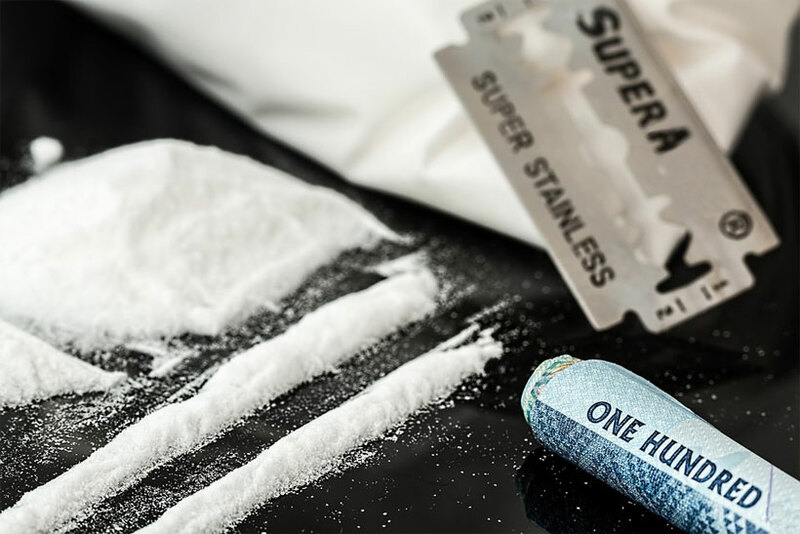 Unless a person spiraling into cocaine addiction goes through a cocaine rehab process, they ultimately increase the risk of developing serious health complications and possibly death.